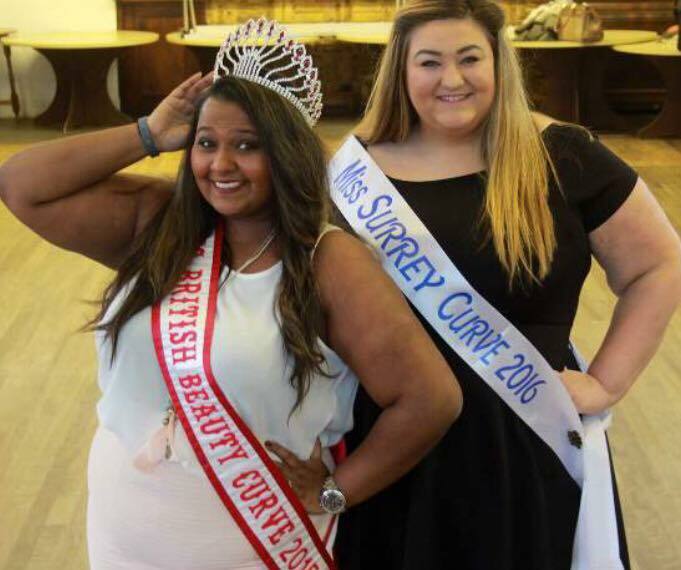 Next up in the "Meet the Miss British Beauty Curve 2016 Contestants" series we have the representative from my very own County; Miss Surrey Curve 2016; Nickey. It was a long journey of acceptance for me, and now I finally feel like I have the confidence to love myself and MBBC is proving this to myself more and more. MBBC for me is about spreading the word about self-love for everyone and banishing body shaming. My very first! I'm so nervous!!! Describe your character in 5 words. Silly, bold, lover, humorous and clumsy! I've done the local paper, hoping to do radio! I'm doing the Endo-March on 19th March for endometriosis awareness as a sufferer myself! I'm hoping to do the walk for the British Heart Foundation too. Hoping to do race for life and lots of other charity events in my mind!! I wouldn't say it's for me, well I would say it would aid me further in my self-love journey. But mainly, I want to do it for the young men and women who see a certain size to be seen as perfect, it would mean the world to portray a positive plus size role model for our younger (and older!) generations! Everyone can love themselves! I'm a black belt in Karate and I have a meaaaan twerk on me. The rest of my talents can't be mentioned before the 9pm watershed!!! I don't currently have one but I'm hoping that will change soon!! What inspires you most about the MBBC Queens? Well, MBBC queens are who inspired me to go on my journey of self-love - that I think is the most important influence any one person can have on someone. I owe my confidence to these ladies. It's not sunk in yet!! I've been going at 100 miles per hour trying to work, do university interviews for my masters and MBBC - one day soon I'll have time to sit and think! I am loving being part of such a positive group of girls and I cannot wait to meet them all! The closer it gets the more excited I'm getting. I've started looking around for dresses but considering making my own because I want some styles quite unique to me! - that's another talent, I'm a master on the sewing machine! Just do it! Once you've considered it, just do it! What's to stop you.. You will only love yourself more in the long run!